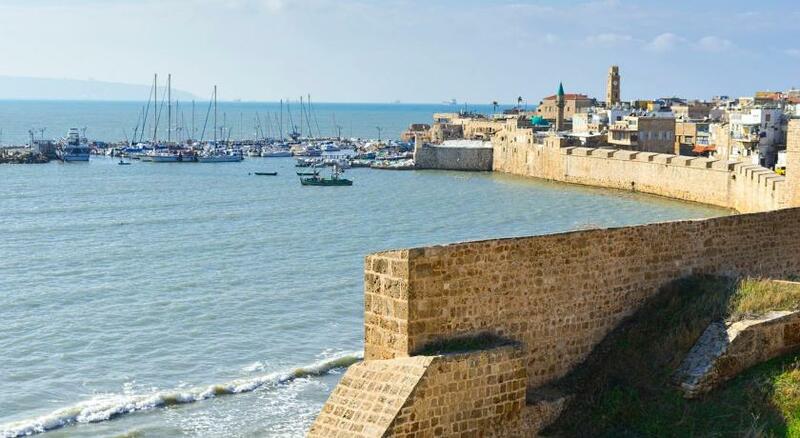 Lock in a great price for HI - Akko Knights Hostel – rated 8.8 by recent guests! Great location, great facility, great breakfast, great everything! The facilities were practical. The staff was correct. The location was good. The hostel has a very good location to go to nearby tourist attractions.Also,the price includes breakfast which it saves time to eat outside in the early morning especially the shops ,and restaurants are not open yet. Was perfect. Better than most hotels and price can’t be beat Clean, spacious rooms and great location.Front desk very helpful. Location was fantastic!!! Nice room with a huge balcony with a fantastic view of the old city, city walls and beyond! Highly recommend it! The breakfast buffet was the best and it changed daily. The location is great, right inside the old town when you enter it. There is a parking lot right behind it and the staff at the front desk would give you the card to use to get 50% - so parking cost is minimal. We stayed in the family room, it is huge, clean. We had a nice balcony with the view of the old city wall. The breakfast was nice, huge selection. The staff is very friendly and would answer all your questions. Very nice place, good breakfast and perfect location. This place is huge in general - the rooms are extra spacious and I had a HUGE terrace on the rooftop. There's also a separate terrace that's accessible to all on the roof, which offers great views. More like a hotel than a hostel. Staff is very friendly and happy to help. Location is central to everything in the Old City - you can reach almost everything with a 5 min walk. Had a great stay here; would fully recommend! HI - Akko Hostel is just 5 minutes' walk from Acer Citadel and Knights' Halls. It offers free Wi-Fi and an Israeli buffet breakfast every morning, including eggs, cheese, salad, bread and yogurt. 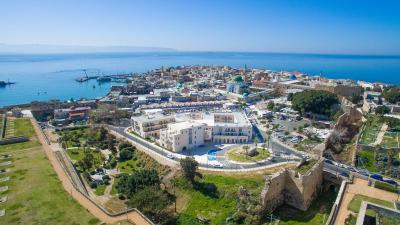 HI - Akko Hostel provides rooms and dormitories. All accommodations is air conditioned and features cable TV and tea and coffee making facilities. Set in Acer's Old City, the hostel is 15 minutes' walk from the beach and Acer Port. The Bahá'í Gardens in Haifa are 16 mi away, while the beaches of Nahariya are 15 minutes away by car. When would you like to stay at HI - Akko Knights Hostel? This air-conditioned room features a balcony, cable TV and tea and coffee making facilities. It has a private bathroom. Free Wi-Fi is available. Can accommodate 3 extra beds for children. Public parking is available at a location nearby (reservation is not needed) and costs ILS 17.29 per day. Dormitory rooms are air conditioned and feature a balcony, cable TV and tea and coffee making facilities. Free Wi-Fi is available. The bathroom is shared. House Rules HI - Akko Knights Hostel takes special requests – add in the next step! HI - Akko Knights Hostel accepts these cards and reserves the right to temporarily hold an amount prior to arrival. It's a bit expensive for a hostel, but, really good! The location is just amazing. Everything is accessible from the place and great breakfast spread. fantastic location and house, spacious room and terrace with awesome views, good atmosphere and breakfast, friendly staff and lots of teanagers the best youth-hostel ever! Great location - near Al-Jazzar mosque, and entrance to the old city. Everything is walkable from here. Hostel is very clean, nice views from the top. I stayed with family - 3 kids - they gave us 2 connecting rooms which were spacious and clean. Breakfast was great with a lot of spread. The location was amazing. The old city wall was just outside the window. The hostel was cleaner and nicer than the average hostel. High Schools coming every night and making lots of noise. Staff did not control from the first moment. Had to complain several times after 11 PM. This is not a friendly place. Things are correct but not enjoyable. Breakfast was ok, but somewhat bland. The bread was not fresh. The location is perfect, just 200m from the entry to the Akko Knights Citadel etc. Staff not friendly, water flows out from shower and floods room. Hall was flooded from another room and when we took a shower realized why. Went down to ask for towels and they were not very happy to give me more than the 1 per person we had. Variety in breakfast buffet but not good. Coffee and creamer in room expired. Hotel price for hostel quality. The room had a lot of space, was super clean, and we LOVED the breakfast! The location is so central and parking was easy! It’s a popular hotel for groups so at times quite noisy with school kids but not a big bother - still worth staying there. Amazing location right in the old city. Large, clean room was perfect for us. Great breakfast. Good value for money!